Angry Birds Fight! 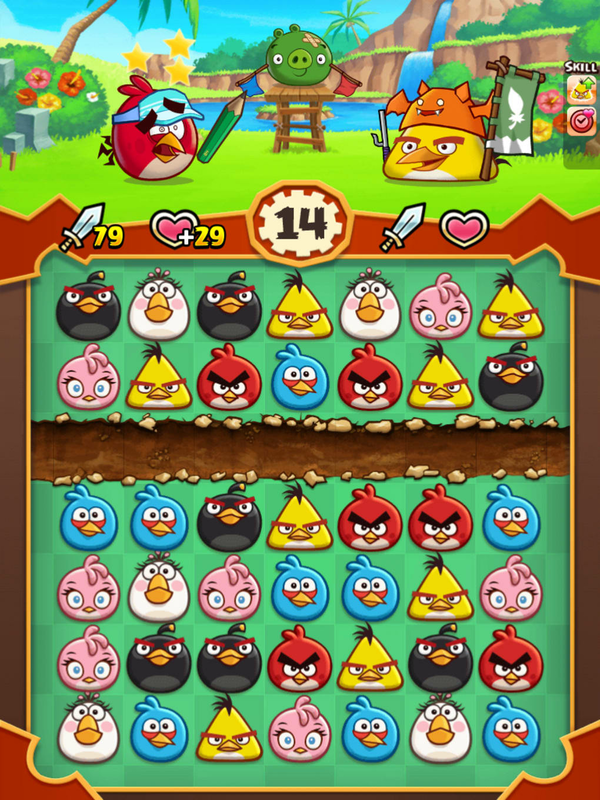 is yet another game from Rovio that thrusts its agitated avians into a popular gaming genre. 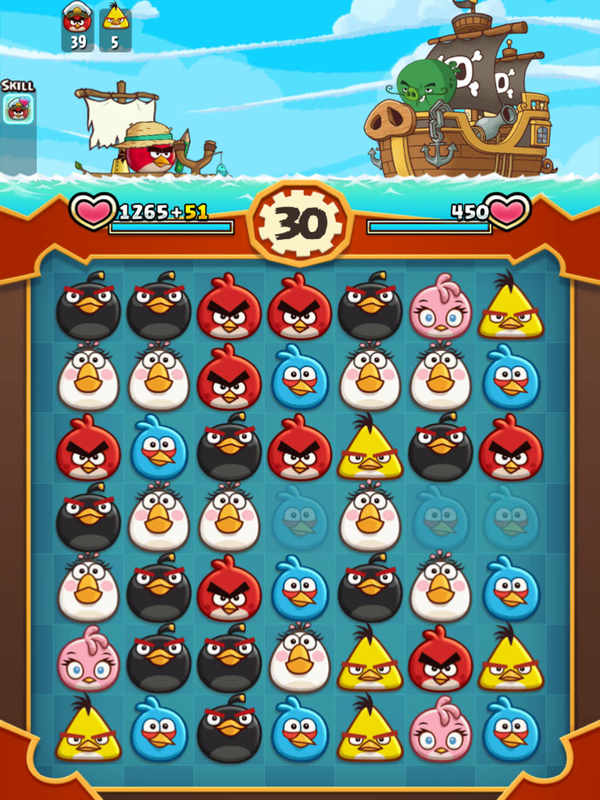 This time it is the match-three puzzler - just think Angry Candy Saga and you are half way there. 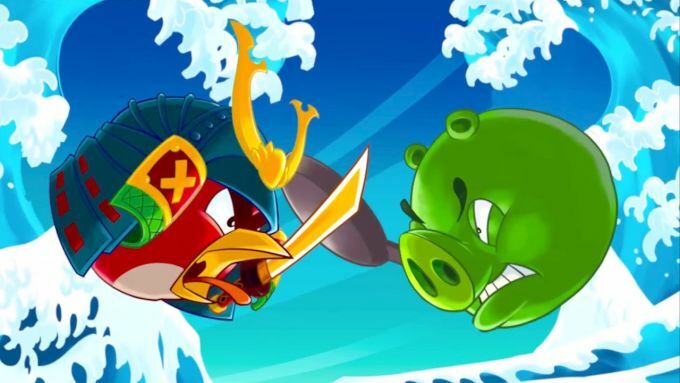 At first glance, Angry Birds Fight! looks to have hatched from the same egg as Candy Crush Saga or Frozen Free Fall. There are distinct differences, however, as this take on the formula rewards speed. Rounds last 45 seconds, and you must use this time to match as many bird-blocks as possible. Angry Birds Fight! uses the tile switching match-three formula. You are able to swap tiles adjacent to each other by dragging them in the desired direction. With speed being a focus - and the ability to continue to move blocks while others fall - it is fortunate that the swipe controls are responsive. This lets you drag birds around the 9x9 grid with ease. 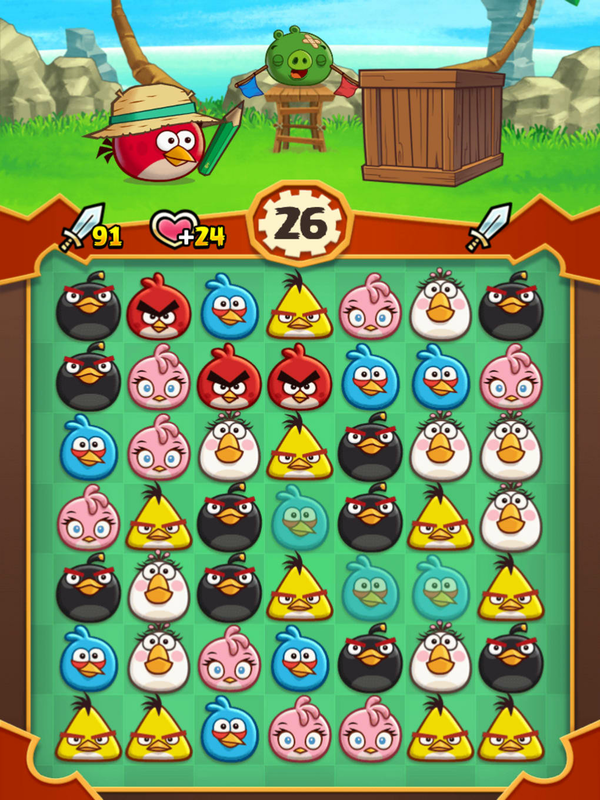 Rovio’s established aesthetic works well with this focus on speed. Each bird-block’s distinctive look and vivid color stand out well against the background, letting you tell them apart with ease. 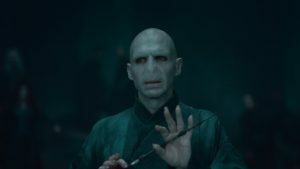 Plus it all looks great – just as we have come to expect from the franchise. During each round, every set of three blocks you create increases your strength. Plus, if you make a chain of more than three blocks, you can unleash additional abilities. These include blowing up areas of the grid with black birds, and clearing whole lines with the yellow bird. When the time expires, your power is unleashed on your opponent. When the round ends, you and your opponent trade blows automatically. 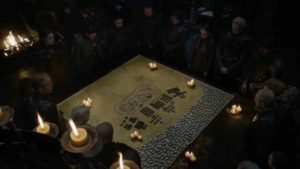 This plays out as an animated scene, with your avatars whittling away at each other’s armor and health until one emerges victorious from the struggle. 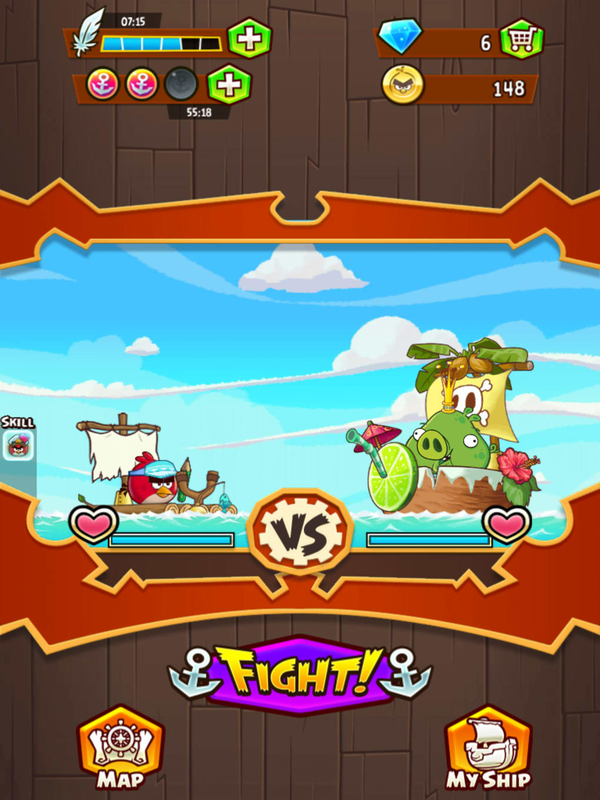 These fights look especially good when battling the boss pigs, who sit on huge pirate ships. 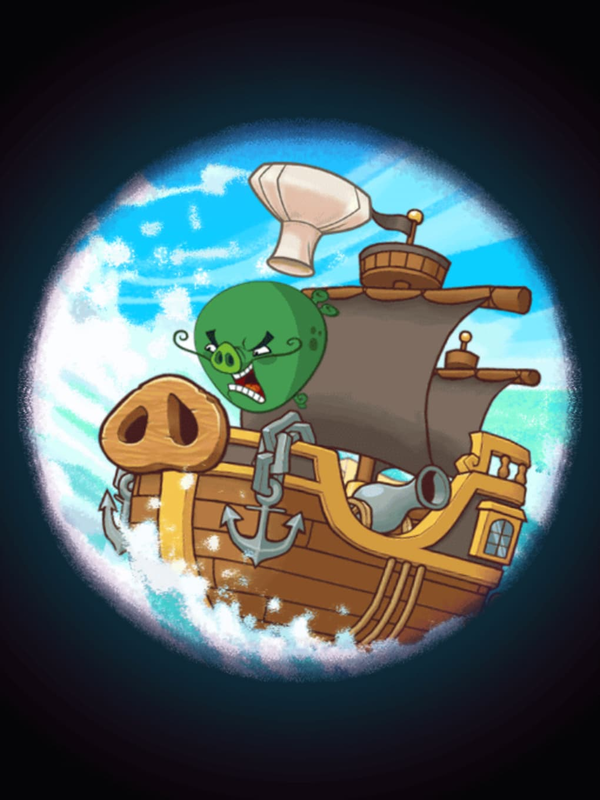 Attacking these bigger foes with your flock sees them satisfyingly flung from their tiny raft by catapult, enjoyably capturing the essence of the original Angry Birds. During these fights, not all of your opponent’s stats are clearly shown. That makes these them remarkably tense as you can never be 100% sure what you are up against, or how it will play out. Though, at times, it can make the game feel frustratingly random. As you may expect from a free-to-play game, there is plenty to grind away at to keep you coming back. 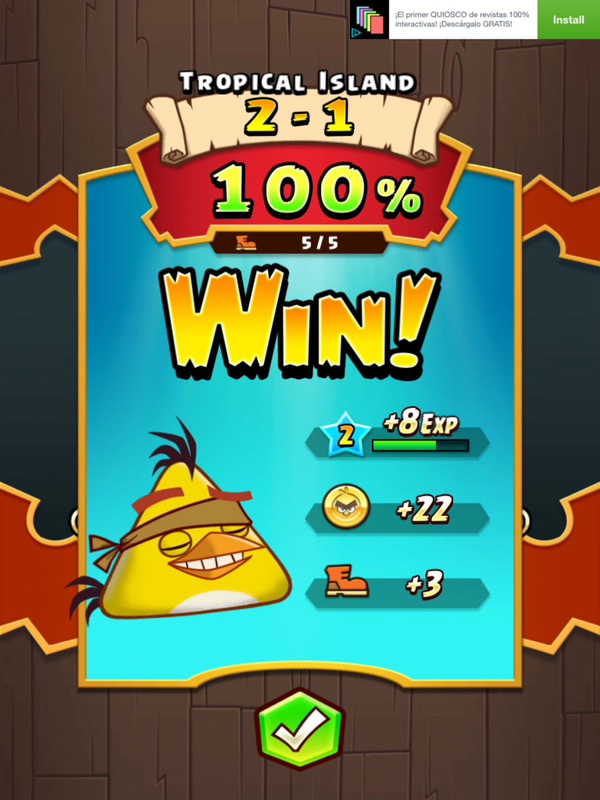 Winning a matches earns you experience to level-up your birds, but also gives you a chance to win items or in-game currency (which can be used to buy and improve items). 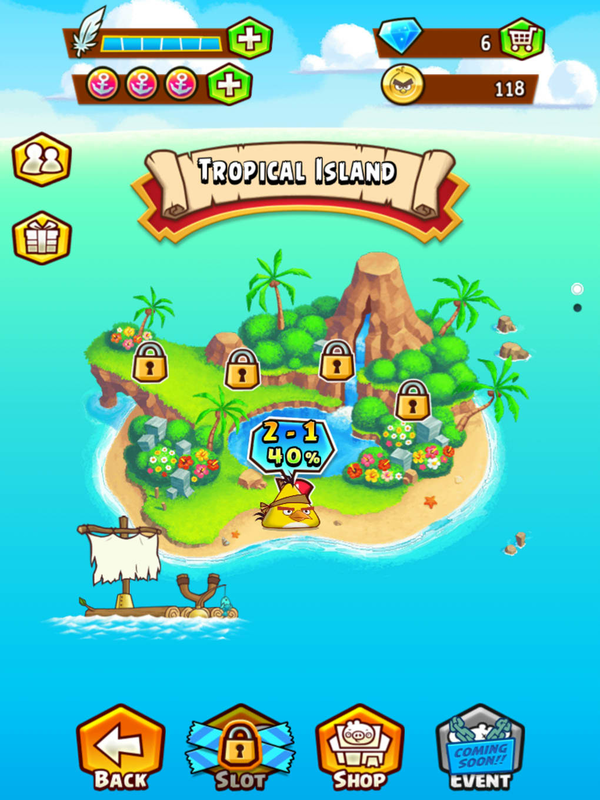 You can equip your birds with anything from sun visors to frying pans, all increasing their base stats. This leads to the inevitable grind of having to power-up your flock to take out increasingly powerful foes or, alternatively, paying to speed the process up. Angry Birds Fight! also has a stamina system. 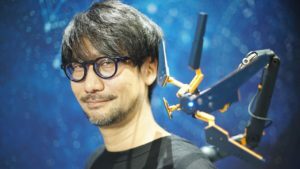 After navigating a familiar open world map, to take on various AI pigs and player controlled birds (you must have an internet connection to play), you can expect your grind to come to a premature halt while your energy regenerates. 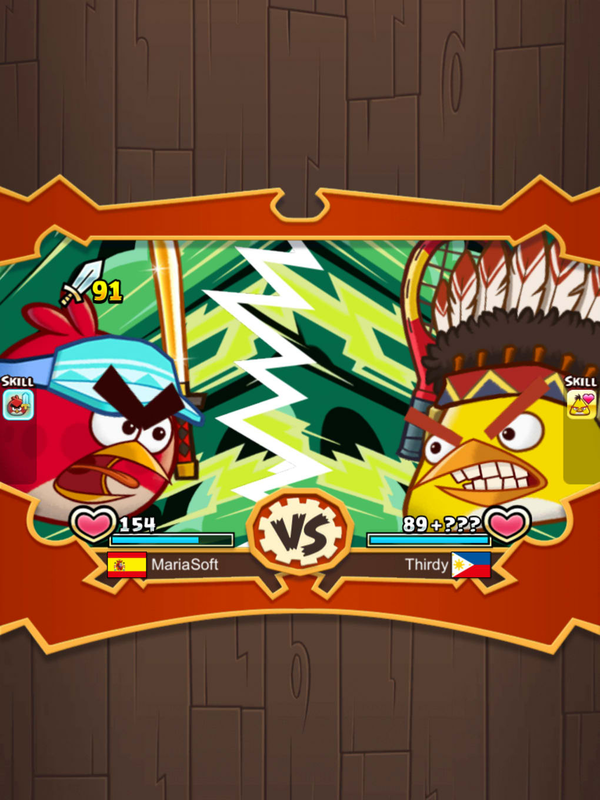 Rovio has taken the match-three template and used it to make an entertaining and easy to grasp game, perfectly framed by the company's signature style. With its multiplayer focus, fast 45 second matches, and character progression, there is a lot to keep you coming back to Angry Birds Fight! It is just a shame that your enjoyment always has to be slowed by its energy system and you can't play without an internet connection. User reviews about Angry Birds Fight! Your review for Angry Birds Fight! 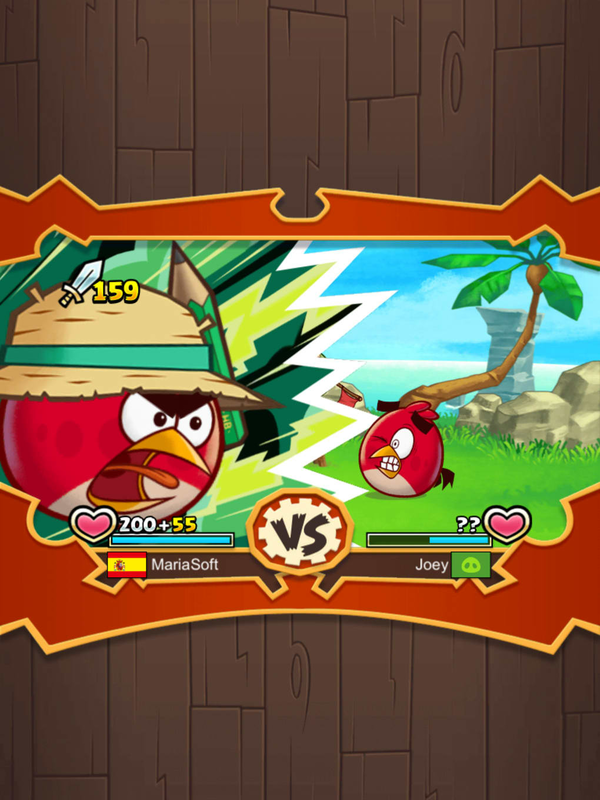 What do you think about Angry Birds Fight!? Do you recommend it? Why?